Some awesome Cassan news and updates today! But first, I have an awesome guest - TF Walsh. Alex, thanks for having me on your blog today. Therianthropy is the ability, or curse, that allows humans to transform into animals. There are many examples of it throughout mythology and folklore and it has become the basis of more and more popular culture. Lycanthropy relates specifically to werewolves and is the most common example, particularly in European cultures, which is why I chose to write about it. But if people were given the choice of an animal they could transform into, would wolves be the most common response. Of the myriad of animals, birds, fish and other beasts inhabiting the planet, it would seem that wolves might not be the most popular, if given a choice that is, considering there was such a choice. If I had to choose, it would be difficult decision. A swan maiden is another mythological form of Therianthropy and would give me a chance to fly. Selkies are seal-type creatures when in water and human when on land, so I could swim effortlessly through the ocean. But if I had to be honest I think I would chose Ailuranthropy, the ability to turn into a cat. And not one of the great cats, but a simple house cat. Especially when I see how many people love their cats, and how well cats are treated. I would love nothing more than sleeping all day in a warm sunshine. Snuggling up to someone when it gets colder and leaping around the house as if I own it. And not to mention being able to understand just what my cat thinks of me. Which animal would you choose to shift into if you had the ability? Buy Cloaked in Fur Here: Amazon US, Amazon UK, Barnes and Noble, iBookstore, and Crimson Romance. T.F. Walsh emigrated from Romania to Australia at the age of eight and now lives in a regional city south of Sydney with her husband. Growing up hearing dark fairytales, she's always had a passion for reading and writing horror, paranormal romance, urban fantasy and young adult stories. She balances all the dark with light fluffy stuff like baking and traveling. Find her - Website-Blog, Twitter, Facebook, Pinterest, Goodreads, and Amazon. Brandon Ax is hosting a giveaway in celebration of his latest book, Ashes. Cherie Colyer’s latest is out – Hold Tight. You can find it anywhere online and add it to Goodreads The first book in the series, Embrace, is now ninety-nine cents for a limited time. Congratulations, Cherie! 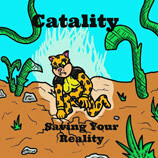 Pat Hatt’s latest book is out, Catality - Saving Your Reality. This is book number eighteen – congratulations, Pat. To you and your rhyming cat! Hart Johnson is celebrating the release of the first installment of A Shot in the Light by hosting a blogfest. On September 5, post about her book and your answer to The World Ends HOW!? See her site for details. Melissa Maygrove is hosting a blogfest September 23-27. Follow Fest is about writers making connections with other writers on other social platforms besides blogging. See her site for details. Summer Ross is hosting the In Your Pants Blogfest on September 2. Yes, you read that correctly! Visit her site for details. In addition, I am teaming up with author Lynn Rush for my first ever Twitter party on September 17 from 8-9:00 EST. Hashtag is #RUSHED and there will be chances to win prizes from both of us. 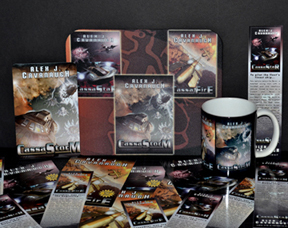 Special thanks to my publisher who is doing a large campaign through trade magazines, libraries and bookstores, and science fiction cons. And a big thanks to all of you for helping me launch one final book into the world! Have you picked up Cloaked in Fur? What animal would you become? Picked up the other awesome books? Can you help Take the World by Storm? Can you believe it’s less than four weeks until my last book comes out?! Alex, I just learned some new words. Didn't know there was a name for shifting into an animal. What a wonderful list of blog hosts! Congrats on all of that. I'll plan to follow along! Thanks for having me on your blog today, Alex... :) Love it. Congratulations T F! Great sounding book. I've never thought about it before, but so far none come to mind. I keep seeing the predators for each. I'll have to come up with one that doesn't have any! And the bloghops begin again. Wonder if Gary's Anti-blogfest inspired them! :) He'll be so sad if that's the case! Sad to hear it is your final I plan to start reading the first this week. Still awesome news for your book I hope it goes beyond your expectations. I am so looking forward to CassaStorm! Your tour may be full, but I'll be only too happy to help spread the word on my blog in my own way. I'm so very happy for you, Alex. Your book release is gonna be H U G H!!! I would be a platypus. Why? Because no one expects to get murdered by a platypus. I just realized our collection is going to come out around the same time as CassaStorm. So prepare yourself for brutal, unsportsmanlike competition. Nah, just kidding. As said, we're happy to help promote your book just for fun. Might even do a sci-fi post, since, well, we've never done that. Taking a dip into blogopshere today as supposed to be on a break (withdrawal symptoms!). Glad I did lots of news here, looks like its going to be a busy few months for you. Will check out the upcoming fests when I return properly but for now I'll answer T F's question. Think I'd have to agree with her and go for cat! Good luck on the CassaStorm tour! September looks like you'll be busy! I think I would become a bear. The end of an era leads to the beginning of a new adventure, methinks. One bows down at the hip (groans) and wishes you nothing but an easy, successful, stress-free book release. hey t.f. you are totally rocking it girl!!!!! In Your Pants Blogfest? What a weird title. Curious to find out what it's all about. Good luck on your book tour! Somehow I think I missed that Patt Hatt releases books. I must check these out right now! 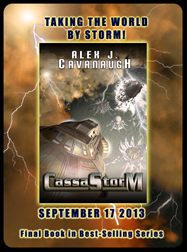 Exciting news about CassaStorm's tour - looking forward to seeing it all around the blogosphere! Going to check out Summer's blogfest, too. Sounds intriguing! @ Hi Alex .. keep calm and carry on - seems the right sort of advice you need - with mini Alex around to keep you grounded! As an animal I think I'll become a much loved cat with a world of my own to wander off into .. fields with mice etc ... I too didn't know there was such a word. You have loads going on - but many congratulations for the 3rd in the series .. and all the excitement of the tour .. When I was doing research in Harar, Ethiopia, I learned that the local blacksmiths are rumored to turn into hyenas. The hyenas are famous in Harar for wandering the streets at night. People have no problem with this and aren't afraid of them at all. There are also a couple of "hyena men" who feed the animals. It's probably good not to let them get too hungry! As for the blacksmiths, I hung out with one until late into the night and to my disappointment, he never turned into a hyena. Therianthropy? That's a new word for me! In Your Pants Blogfest... what on earth could that be..? I would choose to become an owl. They are my absolute favourite and I have 2 nesting pairs on my property. They're gorgeous animals. it is a pleasure and an honor to be part of the blog tour. The next month will be absolutely crazy for you. But I'm sure you will get a lot of support from the Ninja Army. I still remember that you wanted to write ONE book. And now we will get the third one!! Oh noes!! The Cap'n has gone to the dark twitter side! LOL!!! Nevermind!! The Cassa Party has well and truly began! Yay!!!! Love the Cassa swag, looks very cool. Don't forget to keep a mug or two for yourself! Ha! I'm just hoping to survive today. My mom is coming, my daughter has me crazy busy with swimming and school registration and of course there's work. Sounds like you've got a great plan with your publisher to launch your book. And I heard "the one final book." Sounds like you've decided where to go from here. ok, if there were no bounds...i would love to transform into a dragon....do you remember a short lived tv series called Manimal? Alex, is sounds like your book is going to be launched into this world in fine fashion. I know it will be successful and you so deserve it all. Just breathe and take it one day at a time. Andrew, Ruth is a pain. Thanks and you're welcome, Brandon! Brandon and Bryan, no one expects the Spanish Inquisition either. And that would be cool. Trisha, his books are funny. Edi, thanks for the support and enjoying the ride. Moody, I'm hoping my publisher sends me a mousepad. Yeah, I don't want to turn into an animal. Nice meeting you T.F. and congrats on your book. Glad Cassastorm tour is going well Alex and I'm definitely going with the Followfest. Congrats to all on today with their latest accomplishments. Time is flying! No, Alex I am in shock. A twitter party sounds fun! Yes, it will be a fun ride or should I say storm?! I too wouldn't mind transforming into a cat and slumbering a full day in the sun!!!!!!!!! Good Lord that sounds AMAZING. Alex, congrats on the upcoming release! Mine is out in Oct, BUT baby #3 is due 3 weeks before that. I understand the 'help me survive the next month' feeling. Best of luck!! If I could turn into animal? HAHAHAHAHAHAHAHAHAHAHHA. I am a dragon, what is better than that? I'd like to become a bird so I could fly. The hard part is picking which species. Congrats to all of those with news! I'm looking forward to having you on my blog in October. Ooh what animal would I choose...I don't know. Dogs always seem pretty happy, so that could be fun, but then they can also be fairly disgusting! Maybe that's why they're so happy? I would also love to try being a horse, just because I would love to be able to run that fast. Those look like some interesting blogfests; going to take a look! Congrats on your book, Alex. I hope you sell well. I will be sure to follow you on twitter, my social mediaof choice right now. Wow, Alex, looks like you're going to be one busy ninja. Congratulations! What animal would I like to become? I think a sea turtle. They've been around a long time, they live a long time and they swim everywhere. Ella, it will be a stormy ride. Terri, you are really going to be busy. Al, you never bug me. There is one specific dragon I would choose. Barring that, I'd go for a phoenix, an animal closest to a Time Lord. 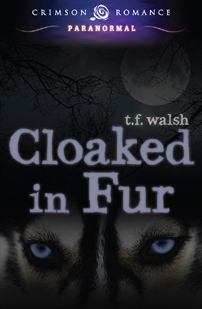 I'm looking forward to reading Cloaked in Fur. It sounds very interesting. You will survive and thrive, my friend! Awesome you have such a tour lined up indeed, there at your feed. And thanks a ton for the shout. Last one you say? Bah, wait a few years and another 3 will come out at your bay. As well my little you know is set for the 18th to run. That I know for sure, as the month of September posts are done. I'd have to be a bird too. Flying would be awesome. I think I would become a dolphin if I had the choice...swimming the endless seas! Woo-Hoo. The twitter party is going to rock. Sleep? What's sleep? :) Enjoy the journey, my friend! I'm so excited for you, Alex. Great guest post today. Congrats on the book party/tour and definitely scratched it on my calendar to catch some of the days on your tour! Happy Friday Eve! If it's any use of course I'll help. 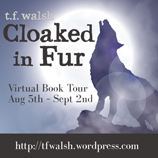 Cloaked in Fur is waiting on my Kindle! And I'd definitely be a cat too. Sounds like you have a great tour planned, Alex! you will survive and it's awesome about your "RUSH" party... on twitter... great post and guest host tf walsh... i am dizzy i may have to read this all again! Hey Alex! Congrats on the new book! That's awesome. As I said in one of my posts, when I mentioned people turning into animals....I would stay human. If that was not an option, I guess I would be a one eyed, scabby kitten down at the shelter. Someone would be sure to give me all the medical attention and love I would need. Sickly kittens seem to illicit a great deal of caring from humans...I was going to pick being a veal calf headed for slaughter, or a hen who's outlived her egg laying life...but the same compassion given to the one eyed kitten is not given to the calves or the hens. I will check out some of the blogfests...especially In Your Pants! Bish, you'd make a good sea turtle. Eve, we're suckers for the undercat. You'll survive, Alex. Hope it's a fantastic September for you. A great time for a launch, with the holiday season following a few months after. Didn't see the list on the HERE link (just wanted to see how large it had become) Did I miss it? I know I earlier signed up. Just thought I'd mention it. As for animals, I'd be a big cat - tiger or female lion. (I'm born in the year of the Tiger.) A panther would do too. Cloaked in Fur is a great title. Congrats on the Cassa tour being full! I had no idea shape shifting had another term!! Wow! Thanks for the shout-out! I enjoyed the guest post on shifting--very informative and thought provoking. I'm not sure what animal I'd want to be. As a Sagittarius, my obvious first choice of animal would be a horse. A very close second would be a spider, preferably a tarantula. Spiders are so small, yet do so much for humanity by keeping us from being knee-deep in bugs. There's also the legend that King David's life was once saved by spiders, who quickly wove a spiderweb over the mouth of a cave to protect him from King Saul. I'm not sure what kind of animal I'd change into. Maybe an eagle. It would be fun to soar like one! Pat is on a roll with all those books! Great video. First time I've seen it:) Congrats on your book finally coming out and so many events lined up to launch it. The question about shapeshifting into animals made me think of the Sookie Stackhouse series (yeah, the series True Blood is based on). Anyway, one character in there can change into any animal, but he most often chooses a dog. I think that suggests that house pets are the least feared animal. I think I might choose a bird. I've always wanted to fly. I guess my parents named me correctly... hahaha. That is a huge tour. I'd change into a Siberian tiger. Then I could go frolic in the snow. Congrats to nall the authors and their new books! I like the idea of being a cat. Let's do it! I'm very excited for you and Mini-Alex. It seemed so far away, but now it's almost here. Happy to do whatever I can to support you. Ellie's video is extremely impressive, a worthy winner. Enjoy it all, Alex. We'll keep cheering you on. DG, I think Linky Tools is just down right now. Mark, you will! And that would be quite the beast. I've never attended a Twitter party before but I am definitely going to be at this one. Your tour sounds awesome, so many great sites. I would also choose to be a cat like Tania. Cats have it made as they spend all their time curled up asleep and they really know how to get comfy. Excited for you and the month ahead! 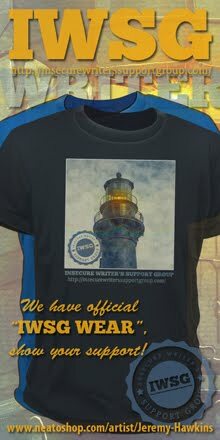 It's going to be a HUGE release and you've offered some awesome prizes! I would like to be able to change into an eagle because I'd love to be able to fly and no one messes with eagles. Haha. So much great news! And I can't wait for your book release. It's going to be epic! My best wishes to you in the next season coming to you, congratulations on all these guest posts! After several tries I believe I can say that T word, but I don't know about spelling it. Great news all around and you'll be everywhere. Yep--have Cloaked in Fur on my Kindle :-) Your swag looks AWESOME--sounds like your publisher is doing a lot for you, as a good publisher should! Hi Tania, a cat is a very tempting choice. My two are very spoiled. I think I might pick a crow. They seem to have fun and it would be neat to fly. It never would have occurred to me to be a cat. But it's a great idea! That's quite the list of hosts, Alex. I'll visit as often as I can. You're gonna be tired :) But what a great celebration! A huge congratulations to Cherie Colyer on her new release. You go, girl! Very happy for you. Alex, looks like you've got the full blog tour. I'm looking forward to reading your blog posts etc. This is going to be fun and a huge success. Congrats on your book release, Alex-I thought I'd signed up to announce it, but could not find the list (if it was just in the comments section I did not see myself there). When is the Cassa TV series coming out? Therianthrope is a new word to me too. I would like to be an owl I think. Fascinating concept for the book, I will check it out. Can't keep up with all the new books coming out there are so many. I will definitely be getting Cassa Storm though. Reading the latest Elizabeth Moon at the moment, she's a great writer. Yep, I reckon I'd like to be able to turn into a household cat and find a warm spot to curl up in and sleep all day (in winter, anyway). Congrats on your CS tour. Very exciting!!! Wow! So much going on...when do you sleep?? I hooked up on the Summer Ross blogfest and it ought to be a hoot!! I am ready for the Book reveal and promotion. Excited is not even enough to describe how ready I am to read your third Byron installment! It'll be grrreat! Delighted to see T.F. has been featured here. And I do adore her pink floppy hat, complete with the baubles. Cloaked in Fur? Yes I am. Yay to everybody else featured here. May your tour, human Alex, be fulfilling and successful. Choosing just one animal to be able to transform into would be hard. I'd like to have the gift of Panteleimon, Lyra's daemon in The Golden Compass. He (it?) could tranform into anything. I'm late on my rounds this week, but thrilled to see all the books from authors we know. Alex, all the very best to you on your new book. You have an impressive line up for your tour! Alex...what excitement looms on the horizon! TF's book sounds great, and I'm also signed up for Melissa's blogfest. I still love that video Elise made, too. Cracks me up. Sorry I didn't sign up for the launch, but I will be happy to post it on my blog on the day of release. Words, I will be beat, and yes, Ellie did an awesome job with the video. Larry, the Linky List was having issues. I'll double-check it. Chuck, hope you enjoy it! Penny is always cloaked in fur. I would probably be either a cat or most likely a bird (I would like the freedom and the ability to fly away instantly). I had read about Cloaked in Fur, it has an intriguing premise. Cool video! As for an animal, I would want to swim in the oceans, so a dolphin would be my first pick. I am so far behind, I don't know what a Twitter party is, but I will be there if I figure it out. I think if I could transform into anything, it'd be a human. It'd be awkward, but all transformations are. The insight I'd get from turning from myself into another person could be very illuminating. First ever Twitter party? Sounds FUN! It looks like you have a great lineup planned. Yeah. Like you're not busy enough when you don't have a book coming out. :D We've got your back friend. T.J., you'd best be careful about becoming a regular cat. Not unless you're a house cat. Unfortunately, many mean people don't like them. Those poor little critters need their nine lives. Fascinating post. Congrats to Pat. His rhyming ability is amazing and 18 books. Crazy, man. Rachna, and I've been working on those questions! Rhonda, that's all right, I'm not sure I know what it is either. Wow-what a line up- can't wait for your book to come out! Alex, good luck with the Twitter party and all! I know it'll go great and you'll have fantastic sales! Great guest post - I'd love to turn into some kind of bird, just to see what it's like to fly! Or an underwater creature because I was never a very strong swimmer. I'm signing up for the book announcement post, Alex! Cloaked in Fur sounds like it's right up my alley. WOW- that's a lot of Cassa good news! Best of luck with everything that comes along with this last book Alex. Although I am not at all surprised that big sites were willing to host you! You do so much for everyone it's your turn to enjoy some promo success. If I were to turn into an animal, I'd want to be one that can go somewhere people can't... fly maybe, but more likely swim--a sea turtle maybe. Alex, thank you for the shoutout! And if you want anymore release locations, I am HAPPY to host you! Will definitely give a shoutout for your release date. Yes, no doubt, interesting guest post from TF Walsh!! Loved T.F.s bit about animal changing. I think I'd take an eagle. Cloaked in Fur sounds great! I think I would become a hawk or a swan (not sure there's a mythological basis for hawks), because I like the idea of flight. So many good books and awesome authors with big news this month! Praying for your month before release . . . I know that's a busy time. Hart, you're welcome, and thanks! I'd like to turn into a Labrador retriever. My favorite dog. I'm so excited for your book release! Had no idea that there were all those words to cover changing into other animals. I'm impressed with the lineup for your tour/party. Have fun! Everything you have planned for your release sounds awesome. I get inspired every time I stop by here. If I could turn into an animal I think it would be a bear. Bears can be intimidating on land and in the water. Alex, good luck promoting your book. It looks like you have any army backing you up! Just purchased CassaFire, looking forward to reading it. It looks like you've got it all together with your book promotion. That has to feel great! Time flies when you're writing space opera. I think that's how the saying goes, right? A month? Time flies. It might be busy, but I'm sure it'll be awesome. The first animal, bird actually, that came to mind was a hawk. It'd be awesome to be able to soar through the sky. Of to check out the other books. Aha, so TF is a Professor McGonagall. Cats is nice. I'd either say horse or bunny. 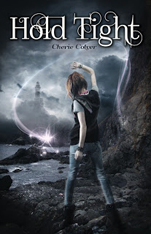 It was fun to see Cherie's book spotlighted here - her covers are really fabulous. Looks like you're in for quite the Storm - what am I saying, we ALL are! You'll have to tell us how it feels after the blog tour is done to have that final book out there. Will you be sad? I would definitely want to turn into something that flies like a hawk or an eagle but house cats do live the dream don't they? Yay for your last book coming out soon Alex! Great post and loved the guest speel from T.F Walsh, her book sounds pretty cool. See, I'm probably one of the people who WOULD choose to turn into a wolf. Though I can't say I've given it a whole lot of thought. I just think they're gorgeous animals. Tina, my favorite as well. Susan, I will let you know. I've signed up already and your post is waiting on your answer and anything else you want me to post. You're going to be featured on some incredible blogs. Go you! Without question, I would be a tiger. Great stuff! I'm excited for CassaStar. That prize package is pretty cool. First, congratulations on that amazing blog tour! Very exciting. I haven't read Cloaked in Fur, but it's on my list, and if I could be any animal, I'd be one of my cats, living with me. Shah, thanks. I just might play guitar better than I write though. Michael, hope you're excited for CassaStorm as well. A bit delayed, but I've signed up to announce the book release Alex. Best of luck with the upcoming release! "Cloaked in Fur" looks awesome--I'll have to check that out. I look forward to featuring "CassaStorm" during the upcoming "What inspires you?" audiomachine collaboration! The second phase kicks off September 15th, so let me know if you have a date preference, Alex! You can do it! You'll survive this month and it will be very exciting! Congrats on having everything ready to go with your tour! Very interesting cat Pat Hatt! Wow super exciting your book is coming out so soon! Look at all those blogfests you did! I love your blogfests cuz they're short and easy and fun. And of course if I can help out with a blog post or interview or anything of the like, just shoot me an email. Happy to help! Pretty sure I signed up for something already. Sounds like lots of excitement in store for you! Can't wait! I'll be keeping my eye peeled!! I would be an eagle and soar high into the mountains. Alex, I predict this will not be your last book.